September 2 is the 245th day of the year(246th in leap years) in the Gregorian calendar.There are 120 days remaining until the end of the year. 1992 – The 7.7 Mw  Nicaragua earthquake affected the west coast of Nicaragua. With a Ms –Mw disparity of half a unit, this tsunami earthquake triggered a tsunami that caused most of the damage and casualties, with at least 116 killed. Typical runup heights were 3–8 meters (9.8–26.2 ft). Year 44 BC was either a common year starting on Sunday, Common year starting on Monday, leap year starting on Friday, or leap year starting on Saturday. and a common year starting on Sunday of the Proleptic Julian calendar. At the time, it was known as the Year of the Consulship of Julius Caesar V and Marc Antony. The denomination 44 BC for this year has been used since the early medieval period, when the Anno Domini calendar era became the prevalent method in Europe for naming years. 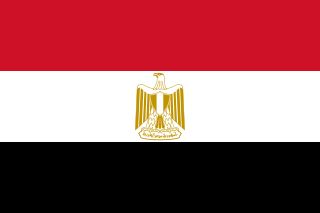 Pharaoh is the common title of the monarchs of ancient Egypt from the First Dynasty until the annexation of Egypt by the Roman Empire in 30 BCE, although the actual term "Pharaoh" was not used contemporaneously for a ruler until Merneptah, c. 1200 BCE. In the early dynasty, ancient Egyptian kings used to have up to three titles, the Horus, the Sedge and Bee (nswt-bjtj) name, and the Two Ladies (nbtj) name. The Golden Horus and nomen and prenomen titles were later added. Gilbert de Clare, 6th Earl of Hertford, 7th Earl of Gloucester, 3rd Lord of Glamorgan, 9th Lord of Clare was a powerful English noble. He was also known as "Red" Gilbert de Clare or "The Red Earl", probably because of his hair colour or fiery temper in battle. He held the Lordship of Glamorgan which was one of the most powerful and wealthy of the Welsh Marcher Lordships as well as over 200 English manors. Year 1251 (MCCLI) was a common year starting on Sunday of the Julian calendar. Year 421 (CDXXI) was a common year starting on Saturday of the Julian calendar. At the time, it was known as the Year of the Consulship of Agricola and Eustathius. The denomination 421 for this year has been used since the early medieval period, when the Anno Domini calendar era became the prevalent method in Europe for naming years. Constantius III, was Western Roman Emperor in 421, from 8 February 421 to 2 September 421. He earned his position as Emperor due to his capability as a general under Honorius, achieving the rank of Magister militum by 411. That same year, he was sent to suppress the revolt of Constantine III, a Roman general who declared himself emperor. Constantius led his army to Arles in Gaul, the capital of Constantine III, and defeated Gerontius, a general rebelling against Constantine, before himself besieging Arles. After defeating a relief force led by Edobichus, Constantius convinced Constantine to surrender, promising safe retirement, but betrayed and beheaded him as soon as he surrendered. Constantius then went on to lead campaigns against various barbarian groups in Hispania and Gaul, recovering much of both for the Western Roman Empire. Constantius was proclaimed Western Roman Emperor by Honorius on 8 February 421. He reigned for seven months before dying on 2 September 421. Year 459 (CDLIX) was a common year starting on Thursday of the Julian calendar. At the time, it was known as the Year of the Consulship of Ricimer and Patricius. The denomination 459 for this year has been used since the early medieval period, when the Anno Domini calendar era became the prevalent method in Europe for naming years. Saint Antoninus of Pamiers was an early Christian missionary and martyr, called the "Apostle of the Rouergue". His life is dated to the first, second, fourth, and fifth century by various sources, since he often confused with various other venerated Antonini. Today he is revered as the patron saint of Pamiers, Palencia, and Medina del Campo. His historicity and exact identity are in doubt. Saint Brocard is said to have been one of the first group of hermits at Mount Carmel, and was perhaps the leader of the community on the death of Saint Berthold around 1195. Various details of his life are legendary. Saint Castor of Apt was a bishop of Apt, in Gaul. The Syriac Orthodox Church of Antioch, or Syriac Orthodox Patriarchate of Antioch and All the East, is an Oriental Orthodox Church with autocephalous patriarchate established by Severus of Antioch in Antioch in 518, tracing its founding to Antioch by Saint Peter and Saint Paul in the 1st century as described in the Acts of the Apostles, and according to its tradition. It was then restructured by Severus of Antioch in Antioch in 518. The Church uses the Divine Liturgy of Saint James, associated with St. James, the "brother" of Jesus and patriarch among the Jewish Christians at Jerusalem. Syriac is the official and liturgical language of the Church based on Syriac Christianity. The primate of the church is the Syriac Orthodox Patriarch of Antioch currently H.H. Ignatius Aphrem II since 2014, seated in Cathedral of Saint George, Bab Tuma, Damascus, Syria. Saint Agricola of Avignon was a bishop of Avignon. According to tradition, Agricola ("farmer") was the son of Saint Magnus, also a bishop of the city. ↑ Zacharia, Janine (2010-09-01). "Direct talks between Israeli and Palestinian leaders to begin". ISSN 0190-8286 . Retrieved 2018-10-29. ↑ "Lill Tschudi (Biographical details)". britishmuseum.org. ↑ Steven, Alasdair (17 June 2014). "Obituary: Francis Matthews, actor". The Scotsman. Retrieved 2 September 2018 ; Gaughan, Gavin (15 June 2014). "Francis Matthews obituary". The Guardian. Retrieved 2 September 2018. Wikimedia Commons has media related to September 2 .